It is indeed a great honour to be invited to give the Padmapani lecture. Last year I had the privilege of visiting the Ajanta Caves and the most striking painting in one of the caves was that of Padmapani, which moved me so much-not only artistically but also compassionately. Ever since then I have been praying to Padmapani as well as Vajrapani, Manjushri and Samantabhadra and Avalokiteshvara. I believe Padmapani is like Avalokiteshvara, the Bodhisattva of Compassion. In Tibet Avalokiteshvara is known as Chenrezig. In China Avalokiteshvara becomes Kuan Yin. One of the great attributes of this Bodhisattva is that he/she listens. Even to beings in the depths of hell he/she listens. This is so important if we want to have a dialogue, if we want to have peace. Dialogue really is the basis of peace. His Holiness the Dalai Lama is considered to be an emanation of Chenrezig, the Bodhisattva of Compassion, although he prefers to call himself a simple monk. Like Padmapani, His Holiness the Dalai Lama listens not only to the suffering of the Tibetans but to all, including those who are hostile to Tibet. Despite all the suffering that the Tibetan people have had to endure as a result of the Chinese occupying their country His Holiness has never expressed hatred towards the Chinese, in fact he always encourages us to be compassionate to the Chinese people. He only seeks to engage in dialogue with the Chinese and to solve the conflict between Tibet and China by peaceful means. I believe that the influence of His Holiness in the world is not due to his being a Bodhisattva, a head of state in exile or the spiritual leader of a large Buddhist community. Neither is it because he possesses supernatural powers. Rather it is because he is a simple monk who wants so little for himself and is devoting most of his time and energy to help the peoples of the world, who are being trammeled by greed, hatred, and delusion. Yet such a simple monk with good humor and humility like His Holiness, despite bearing so many social ills of his people and his country, is showing to the world that truth, forgiveness, nonviolence and compassion really have powers beyond the present worldly values. Some social ills are so damaging and horrendous such as the Chinese invasion of Tibet and all the dreadful events in that country. Yet to have a simple monk like His Holiness and his followers insisting that we all learn to love and empathise the Chinese people and to forgive the Chinese government which has committed acts of aggression out of ignorance or delusion, not to mention out of greed and hatred, is profoundly illuminating. His Holiness has successfully held dialogues with leading scientists over the last few years. As a result, some of them have become more humble and have seen the value of spiritual dimension in helping scientific knowledge to transcend logic and materialism. Publications on these series of dialogues are most meaningful. Publications by His Holiness himself or by those who have been inspired by him are worthy likewise. Through dialogue so much can be achieved. When two parties in conflict are prepared to listen to each other and to see each other not as enemies but just as human beings then the animosity between them can be dissolved. Overcoming the dualistic thinking that sees things as good and evil, or friend and enemy is the basis of nonviolence. And nonviolence is the basis of peace. It is necessary to examine this point in some detail. The Buddhist teachings discuss and define violence in great detail. There are three doors for any action: body, speech and mind. Any action originates in the mind and then is expressed through the speech or body. There are three types of physical violence: killing, stealing and sexual misconduct. There are four types of verbal violence: divisive speech, gossip, harmful words and slander. Finally there are three types of mental violence: covetousness or avarice, ill will and wrong view. These are known as the three poisons and are the root causes of the forms of violence that are expressed through body and speech. For a violent action to occur there must first be a desire or intention in ones mind to commit the action. This desire arises as a result of greed, hatred or ignorance. Some people may commit a nonviolent action because of their ignorance-they do not know what is right or wrong. Others may do it out of hatred. There also needs to be an object for an act of violence to occur. Finally the person committing the act of violence must carry out the action against that object. An action can be either partially or completely fulfilled. As violence has its origins in the three poisons of the mind-greed, hatred and ignorance or delusion-in order to act nonviolently you must overcome these three poisons. You must develop the mental attitude that is the opposite of greed, ignorance and hatred. So to carry out a nonviolent action you need a desire or intention, an object and to carry out the action. The paramitas, or transcendental actions, can provide the basis for nonviolent action. The six paramitas in the Mahayana tradition are generosity; morality; patience; effort; meditation; and wisdom. In the Theravada tradition there are an additional four: renunciation, truth, resolution and loving-kindness and equanimity instead of meditation as meditation is implied if you wish to practise the transcendent action to perfection. Hence, merely refraining from acts of violence only succeeds on a basic level in overcoming violence. To cultivate the good qualities of the mind and actively carry out nonviolent actions represents a higher level of understanding. So in order to truly practise nonviolence we need to eliminate the three poisons of greed, anger and ignorance and cultivate positive qualities by practising the six paramitas and/or the four brahmaviharas or “divine abodes.” The four brahmaviharas are metta, karuna, mudita and upekkha (loving-kindness, compassion, sympathetic joy and equanimity). This is why the practice of meditation is very important. Practising meditation allows us to understand what controls us, to really know our own mind. We can see the love, hate, fear and delusion in our minds. By understanding and acknowledging these emotions we can overcome our prejudices. This provides a basis for problem solving: a basis of wisdom and compassion. Together these can provide the basis for a non-violent response. Meditation practice also allows the development of upekkha or the “mind of equanimity.” Buddhism talks of the four brahmaviharas. Upekkha is the fourth brahmavihara. Upekkha is tragically lacking in today’s extremely violent world. Venerable P.A. Payutto, a leading Thai scholar-monk, explains upekkha as follows: “Seeing things as they are with a mind that is even, steady, firm and fair like a pair of scales; understanding that all beings experience good and evil in accordance with the causes they have created; [and the readiness] to judge, position oneself, and act in accordance with principle, reason and equity.” The one who has upekkha is fully aware of what is going on but without being blinded by attachment. This does not mean hermetic isolation, apathy or insensitivity though. It is a mindful detachment that allows the development of wisdom. Wisdom is what really allows us to help others with compassion and understanding. The bodhisattva does not turn away from violence and suffering. The bodhisattva has both the wisdom and compassion to understand and respond to it. Nonviolence does not mean turning way from violence or being passive. It means responding to violence with upaya, or skillful means. Let us look at the life of the Buddha for an example of upaya being used to respond to a violent situation. Had the Buddha done nothing and allowed a war to begin that would not have been nonviolence. In fact failing to intervene in this situation would have been an act of violence itself. He intervened in the conflict in a nonviolent manner; this clearly illustrates nonviolent action. This is proof that Buddhism is not otherworldly but is actively engaged with the world. Unfortunately many Buddhists are content with inner peace and don’t relate to the world around them. In Burma there are many great meditation masters; you can go to the temples there and enjoy wonderful meditation practice. But what about outside the temples? The country is a military dictatorship and there are many terrible abuses of human rights. Staying in the temple and meditating is not practicing nonviolence. We need to engage with the world. During the Vietnam War Thich Nhat Hanh realised that he could not remain in the monastery and meditate while bombs were going off and people were dying outside. He could not turn away from the suffering of the world; he had to respond to it. We should not forget the law of karma either. Everything we experience is the result of previous causes and conditions. As the opening verses of the Dhammapada teach us “If one acts with a corrupt mind suffering follows. If one acts with a serene mind peace follows.” We must be aware that how we act now will affect our life in the future. We reap what we sow and we cannot avoid the results of our karma. If we have this awareness then we will try our best to sow some seeds of peace. Another story from the life of the Buddha demonstrates the law of karma. The King of Kosala wanted to be related to the Buddha, so he asked for a princess from the royal Sakya family to be his queen. The Sakya, the clan from which the Buddha was born was very caste conscious and refused to allow marriage outside their related clans. Although they regarded Kosala as a mightier kingdom, they still did not wish to regard that royal family, castewise, as equal to theirs. However, a compromise was reached by sending a princess, born of a slave girl to be the Queen of Kosala. Vidhudhabha was the son of this queen. Neither he nor his father new that the Queen was an outcaste. When the young prince went to visit his maternal grandfather and maternal relatives among the Sakya clan, he accidentally found out that they all looked down upon him behind his back because his mother was a slave girl, so the young prince vowed to kill all members of the Sakya clan in revenge. When Vidhudhabha succeeded his father to the throne of Kosala, he marched the army northward. The Buddha knew of the situation. He went to sit at the border of the two kingdoms thrice and was able to stop the warlike king. Yet the Buddha could not convince the king to get rid of his own hatred and desire for revenge. Eventually the King managed to kill almost all members of the Sakya family, yet on his return home, Vidhudhabha and his troops were drowned in the river. One could draw many conclusions from this incident. However, if we believe in the law of karma, we should realise that each individual, each family, each nation will reap the benefits or otherwise of their own deeds, speech and actions. Although the Sakya clan produced a wonderful person who eventually became the Buddha and preached that people should get rid of caste and class barriers, they held views in opposition to his teaching. They also deceived the King of Kosala who was much mightier than them. As for Vidhudhabha his bad thoughts lead him to bad action and his life ended tragically. Hatred does not eradicate hatred. Only by loving kindness is hatred dissolved. Not only Buddhists but Christians, Jews and Muslims-all the religions-need to be mindful when confronted with violence. Then they can find the skillful means to deal with the situation nonviolently. It is very important to understand that nonviolence is an effective and very powerful response to conflict. It does not mean doing nothing. It is actually a powerful force that can be acted upon. Peace is not merely the absence of war. Peace is a proactive, comprehensive process of finding ground through open communication and putting into practice a philosophy of non-harm and sharing resources. Creating a culture of peace is an active process. When confronted with large-scale conflicts there is no question that they demand a response. The problem is that many people believe that a nonviolent response means doing nothing whereas responding with force or violence means doing something. The Middle Way of Buddhism defines very well how one should respond to violence. It is about avoiding extremes. The extremes being doing nothing on the one hand or responding with similar violence on the other. However, it is also important to examine structural violence. We should not limit our thinking to believing that violence is limited merely to acts of war or terrorism. Every day 40,000 people starve to death in a world where there is an abundance of food. The global economic system enriches a few while everyday more and more people are pushed into living in poverty. Twenty percent of the world’s population has over eighty percent of the world’s wealth. In order for a few to enjoy wealth others must be deprived of a decent livelihood. This is really one of the world’s greatest injustices. The problem with structural violence is that it is difficult to see it. Many people just dismiss it by saying that’s the way things are or there is no other way. Many people similarly dismiss nonviolence because they are unable to see how it can be effective. It doesn’t attract the same headlines as violence. Many people don’t see how it can be a solution. The roots of much global conflict lie in this structural violence. The economic forces of globalisation, forced upon much of the world by the countries of the North, transnational corporations and the Bretton Woods institutions (World Bank, IMF and WTO), not only condemn many to living in poverty but they provide a breeding ground for hatred and greed which in turn gives rise to violence. The demonic religion of consumerism is based on promoting greed and in the name of this greed all sorts of violence is committed. The mass media is controlled by the transnational corporations and their reporting is not independent. The mass media is in fact part of the problem of structural violence. It distorts peoples world views and preaches the religion of consumerism. It works hand in hand with the TNCs to promote a lifestyle of consumerism and create a global monoculture. Television effectively brainwashes people and acts a propaganda machine for TNCs. It deludes people into thinking that the more goods they accumulate the happier they will be. It totally denies the fact that the attainment of such a consumer lifestyle is unattainable by the majority of the world’s people. It is simply an ecological impossibility. By overcoming structural violence we could prevent much of the violent conflict we see in the world today. I would now like to consider how nonviolence can provide a very effective response in situations of global conflict. We can define three types of response to global conflict. These are peacekeeping, peacemaking and peacebuilding. Peacekeeping means keeping people from attacking each other. Peacemaking means the process of forging a settlement between disputing sides in a conflict. Peacebuilding refers to the entire range of long-term approaches to developing peaceful communities and societies based on principles of co-existence, tolerance, justice, equal opportunity, etc. The first, peacekeeping, seems to attract the most attention but it is a bit like firefighting. It’s necessary to put out the fire, but it is much better if we can prevent the fire from starting in the first place. This is where peacebuilding comes in. I talked earlier about structural violence. In many ways peacebuilding addresses this structural violence and prevents conflicts from arising in the first place. Peacebuilding initiatives can take many forms such as education, grassroots democracy, alleviating poverty or land reform. They are all fundamentally nonviolent. By working at this level there is no conflict between violent and nonviolent solutions. The Sarvodaya Movement in Sri Lanka is an excellent example of peacebuilding based on Buddhist principles. Thich Nhat Hanh says, “To prevent war, to prevent the next crisis, we must start right now. When a war or crisis has begun, it is already too late. If we and our children practice ahimsa in our daily lives, if we learn to plant seeds of peace and reconciliation in our hearts and minds, we will begin to establish real peace and, in that way, we may be able to prevent the next war.” So this idea of peacebuilding, preventing wars before they begin is very important. This work attracts no headlines, in fact nobody may even notice it, but it really is crucial. When a war has started it is very difficult to stop it. We really need to start thinking about how we can stop the next war that will start ten years from now. In order to create a culture of peace, first we must make society more just, more fair, and give equal rights to all people. The imposition of so-called peace has, in fact, at times been used as a tool of suppression. Look at the many programs for pacification taken throughout history and the world. In many cases, the institutionalised definition of peace is tantamount to the suppression of righteous struggles for equal rights and justice. In other cases, the institutionalisation of peace is really propaganda for maintaining the status quo of an unjust government or system. Thus the development of a culture of peace really begins at ground level. The power of transnational grassroots movements should not be underestimated. They are a powerful force for change. For example, the issue of East Timor was kept alive by small groups of activists working tirelessly for many years while the international media and governments totally ignored the issue. 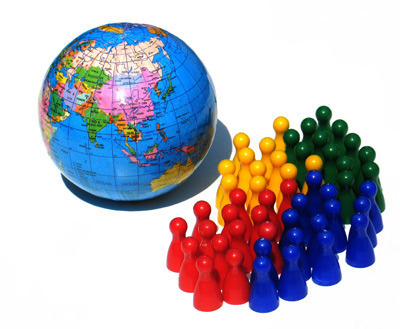 The issue of economic globalisation has been put firmly on the agenda by activists worldwide. The major protests in Seattle, Prague and Washington have forced a debate on the issues. The Media and governments can no longer just ignore or dismiss them. We should never give up hope that change will occur. Working at the grassroots level, peacebuilding, really is the key to ensuring long term peace. Peacemaking is the process of forging an agreement between two sides that are in conflict. The key to this really is dialogue and the most important part of a dialogue is listening. Unfortunately much of the so-called dialogue that goes on in the world today is nothing more than two parties delivering their own separate monologues. Only through a process of active listening can genuine dialogue occur. To engage in this active listening we really need to have seeds of peace within. If we have seeds of peace within ourselves then we can engage in this dialogue, this listening, without animosity or identifying things as good or evil. So for dialogue to be meaningful both sides must be prepared to engage in the dialogue without preconceptions. They must give up any preconceived ideas of what the outcome might be. If dialogue can be approached in this way the outcome can often be unexpected and wonderful for both sides. Reconciliation is a key part of peacemaking. A peacemaker who can create a culture of truth, forgiveness, and cooperation can foster the evolution of reconciliation and acts of reconciliation. A culture of reconciliation is our best hope to heal past injustices and foster individual and societal transformation. Reconciliation means that both sides must have a willingness to forgive and while it acknowledges the past, it also acknowledges the need to look forward and live together peacefully in the future. Peacemaking is an endless task. The work never stops, but that doesn’t mean we should stop doing it. One definition of a peacemaker is that a peacemaker, knowing that the well needs water climbs up the mountain to the snowline, takes a spoonful of snow, goes down the mountain, drops it in the well and then goes back up the mountain. Because the need for peacemaking is overwhelming we should never stop doing it. Peacekeeping is more problematic. Although it is often done with good intentions, military-lead peacekeeping uses the means of ordinary conflict for the goal of peace. So while this form of peacekeeping may reduce a conflict it cannot lead to long-term peace. So peacekeeping may prevent violence in the short term but the most important thing is to address the underlying causes of the violence. This is the only way to ensure peace in the long-term. It also important to recognise that some forms of supposedly nonviolent intervention in conflicts are actually very violent. For example, trade sanctions against Iraq have killed more people than bombs did in the Gulf War. This really arises from the fact that these forms of peacekeeping are based on threats or force. A nonviolent response is based on metta karuna or loving-kindness and compassion. His Holiness the Dalai Lama uses the term “universal responsibility” to describe a sense of concern for other’s welfare. “Universal responsibility” describes very well the motivation for a nonviolent response to conflict. The Quakers were able to break the food blockade against Germany and Austria after World War One. They were motivated by a sense of “universal responsibility” to the people of Germany and Austria. Thirty years later they were able to rescue Jews inside Germany at the height of the war. They did not use threats of punishment, instead they used their love and concern for others as a motivation for their action. Because they were present without threats their presence was tolerated at a time of extraordinary violence. Small numbers of people have been able to enter extremely violent situations in a nonviolent spirit and accomplished reductions in conflict with almost no personal casualties. These efforts are ignored by the mass media and are often carried out by idealistic individuals with very few resources. Given that they have been able to achieve so much with so little support just imagine what could be achieved if more people took this kind of work seriously and it received the same kind of support that conventional conflict resolution does. Usually these types of initiatives are tolerated by governments and other institutions, but the Quakers received condemnation from the US government for their evenhanded delivery of aid to North and South Vietnam in the 1960s. Examples of the successful use of nonviolence are many: the nonviolent overthrow of the Thai dictatorship in October 1973 which was similar to the end of the Marcos government in The Philippines; the collapse of communism in Eastern Europe; Xanana Gusmao’s command to Falintil to remain hidden in the jungle while Indonesian militias rampaged through the country after the referendum in 1999 and so on. Nonviolence takes great courage-it does not mean opting out or doing nothing. It is an active force. The image of a lone protestor standing in front of a tank in Tian’anmen Square and Daw Aung San Suu Kyi confronting the Burmese military with her great determination are two powerful reminders of the courage required to engage in nonviolence. While creating a culture of peace is the most important thing and prevention is better than cure we still need to be able to respond to violent situations in creative, nonviolent ways. These can be very effective and beneficial to all sides in the conflict. Too often people are content with the status quo, but the status quo is hardly satisfactory and therefore we must challenge it. It really is up to us to have the initiative and imagination to make these discoveries. Padmapani Lecture delivered at India International Centre on 13 November 2001 at the invitation of Tibet House, New Delhi.